"MEMORIES PRESSED BETWEEN THE PAGES OF MY MIND"
​WHAT A WONDERFUL WEEKEND IT WAS! 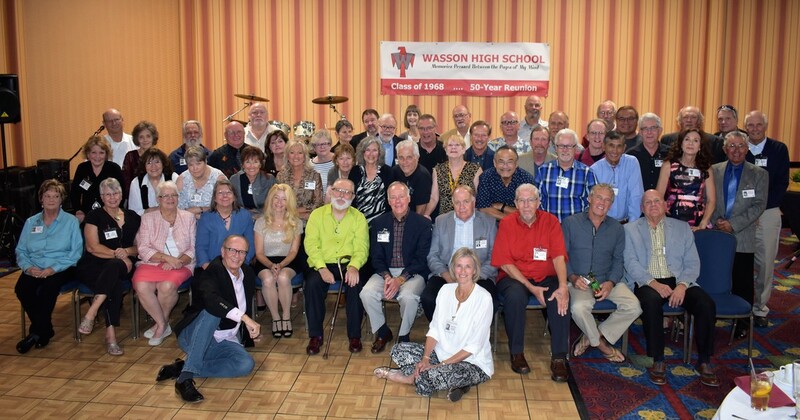 Thank you to the Reunion Committee for creating such a wonderful memory for everyone! You stuck it out until the very end and did a tremendous job! What a team! Jo Harmon-Sheehan, Chair - all the little details! Lance Newcomer, Co-Chair - what a great tour of Wasson and what fantastic entertainment! Linda Worthey-Bolling and Theresa Pearson - what a fantastic dinner! To all of those who attended - THANK YOU! It wouldn't have been a RE_NION without U! We'll keep this website up and running for awhile, so please check back often. The photos will be posted by late October, as will the slideshow that was shown on Friday night. We'll be adding a Tribute page where the Memorium Tribute slideshow will be posted. If you know of any other deceased T-Birds who need to be added to the Tribute, please email us or use the Contact page for correspondence. If you did not take the opportunity to fill out the All About Me page, please do so. Other T-birds would love to see what you have been up to over the last 50 years! ​This information will not be made public, only shared with those who want to share their information!